Still ice on the lake, but soon it will be open water. So I remember last summer. 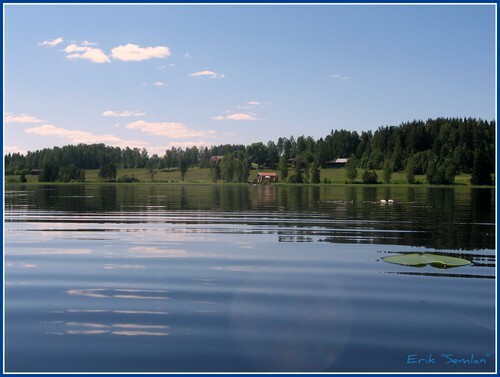 Close to Midsummer there where two, three very warm weeks and as a whole the summer of 2009 was a good summer. Pictures I took standing out in the water to my chest. 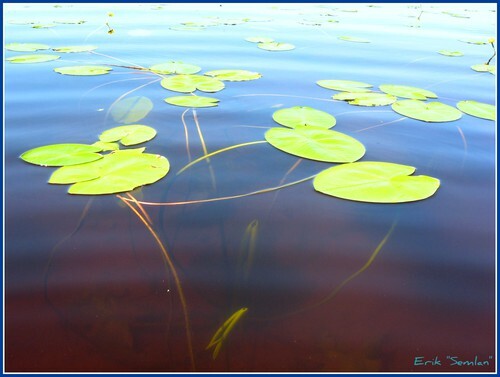 Water lily in our small "beach" area of the lake. The water have a lot of iron in it, so it's got some red/brown colour. The area is a old mining district. 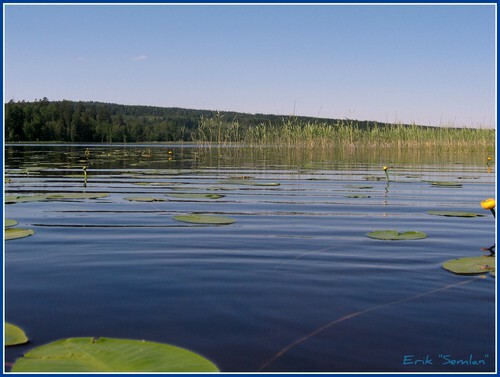 You can catch pike, perch and in August crayfish in the lake. I hope this summer will be lovely and warm... we need a good summer after a long winter. So, so pretty...all the photos Erik. 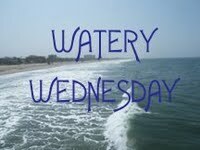 Here is <a href="http://hootin--anni.blogspot.com/2010/04/mouseover-caption.html">my Watery Photo</a>, hope to see you stop by to view. It's always great to have you visiting.